The rental fee for each piece of art is €15 per month. The rental period is for a minimum of 12 months. The subscription will be extended automatically for another 12 months, unless the tenant notifies Materieschilderen.nl, two (2) months before the end of the rental period, that the subscription should be stopped. in the name of Matter Painting. Damage and / or loss (by whatever cause) is the responsibility and risk of the renter. 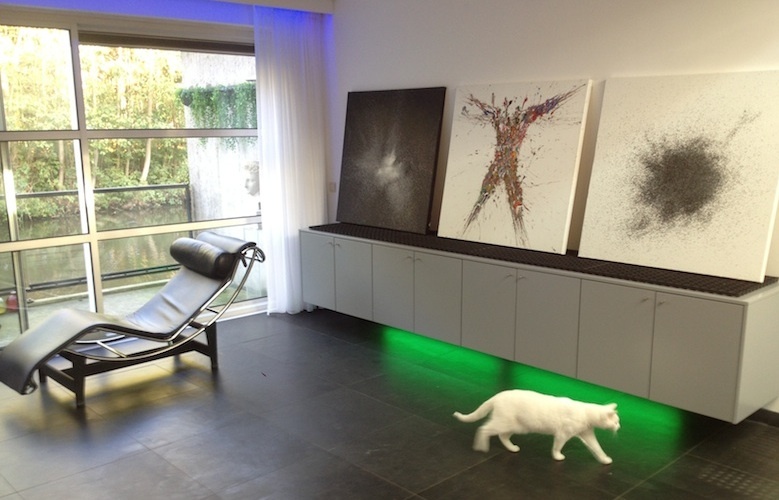 Interested parties may request an appointment to visit the gallery in Amsterdam, to view the paintings.